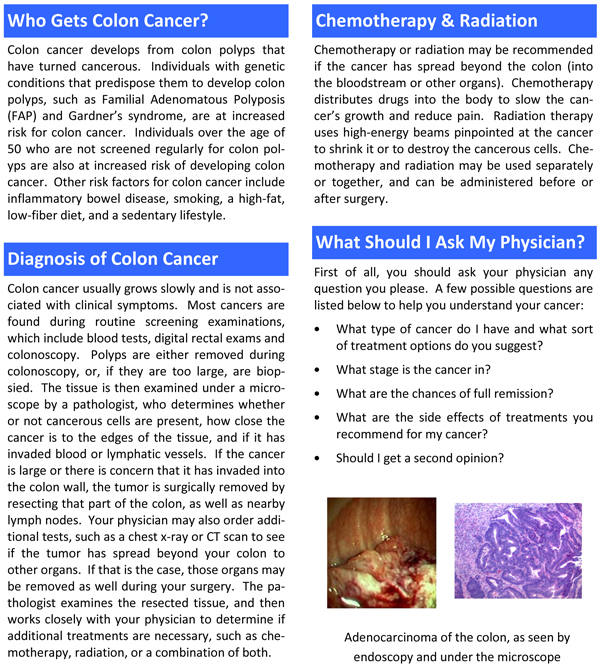 Colon cancer is the most common type of gastrointestinal cancer in the United States. It grows from the glandular cells that line the colon, and if not detected and treated, can spread into the wall of the colon and potentially into the lymphatic system and other organs. Detection of colon cancer at an early stage is associated with a better prognosis.